Steel City had nothing but love for the Boston rockers. If you think frontwoman Leah Wellbaum's guitar solos crush on her band's new record, Everyone Else, you honestly have not seen anything until you see Slothrust live. The Boston trio, who are currently on tour in support of their release which dropped in late October, will make you dance, possibly make you cry, and will definitely make you a huge fan (as if you weren't already) after one of their shows. An interesting cross between the hint of a blues rock band, and folk-y vocals a la Girlpool, Leah, Kyle, and Will are fresh, impressive, and confident. We had the chance to check out their mix of slow jams with gorgeous lyrics like "I don’t have anything in common with myself, except that I came from the sea, like everyone else did/" and upbeat rock'n'roll tracks like "Rotten Pumpkin" performed live, and highly recommend you do the same. 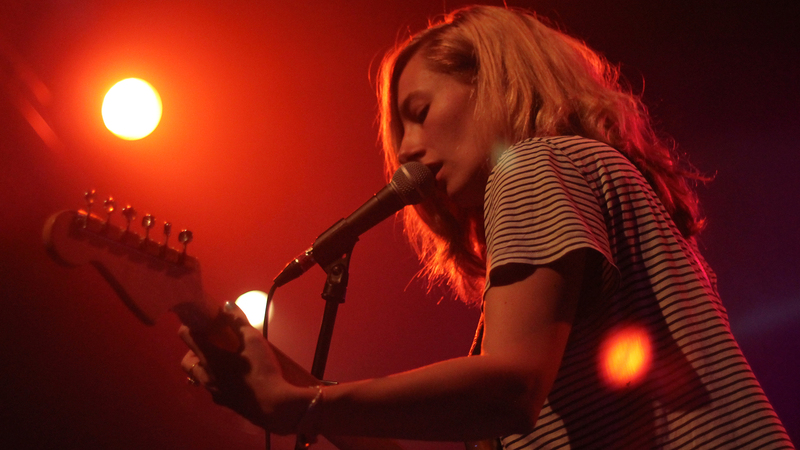 Browse the photos from their set in Pittsburgh at Rex Theater, then track Slothrust on Bandsintown to find out when they’ll be near you!